The number of iPhone, Android, Symbian and other smartphone application in the markets increases very rapidly. Many of these applications are rather simple and very small in size. Selling of these applications usually does not require a web site or extensive marketing material because users from different cultures and countries all buy applications in few iPhone, Android and other software stores. Thus there is a big amount of applications that can be localized to new languages by translating 500-1000 words or even less. According to studies, localization increases the sales (in the target language market) usually 2-5 fold, sometimes even 15-fold. With Android applications one should also note that in some software markets to get listed for e.g. German clients a German language version is required. That is, if you application is not in German it can’t be seen and thus it can’t be bought by German users. This further increases the significance of localization. 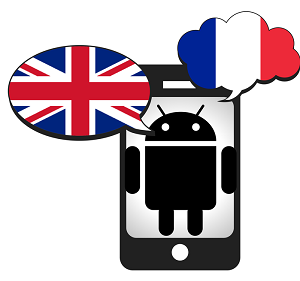 With Android applications the profitablity of localization is often huge. Translation cost of USD 100 can be easily earned back in few weeks in new language market even with moderately selling apps. One more factor is that the cost of localization in relation to software development cost is minimal. Thus entering new markets is usually more easily and quickly achieved by localization to a new language than by developing a new application. By quick localization the first-mover advantage may be achievable in several markets (in each language market). Also the competion is at its fiercest in English language market and less competitive markets can be achieved with localization. 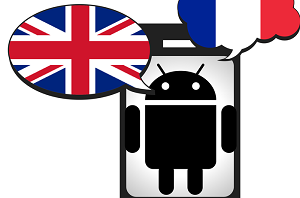 What Android localization means for localization project managers and translators? When an application is easy and cheap to localize, it is profitable to localize it even for very small languages. Thus very many localization projects include translating 500-1000 words to 10 or more languages. When there are many languages in a localization project, the significance and work associated with localization project management increases greatly. This kind of development might mean that the significance of translation price diminishes. When the translation price is in the range of USD 50-100 no big savings can be achieved by optimizing translation cost. Instead, it is probably wise to pay well for an experienced translation if this saves e.g. project management cost and shortens time-to-market. Thus highly skilled translators may have better chances to invoice higher price in return for their skills. From translator’s point of view the decreasing size of translation projects sets requirements for both translation skills and client acquisition. When several small applications are translated, the translator may need to master different terminology for each application. In addition, when single translation project is small, the project and client acquisition cost is higher in relation to the actual translation cost. On the other hand, not many companies develop only one application and there may be translation work available in the other applications of the same company. Simplify your smart phone application localization projects. Localization tool enables fast, easy and efficient localization. Start growing your user base right away! Try Multilizer for free.